It takes more than 300 million years to produce oil in the natural world. But Solazyme, which is one of the largest companies in the advanced biofuel industry, has pioneered a way to make oil in just a few days. Solazyme’s oil even improves upon naturally produced oil because it burns with lower emissions. Solazyme is a NASDAQ-listed, California-based company with an objective to become the global market leader in the design and production of renewable oils. Founded in 2003, Solazyme already has posted impressive financial numbers. At the beginning of the second quarter of 2013, Solazyme’s market capitalization was about $450 million, and it recently secured more than $200 million in new financing. This financing will help Solazyme commercialize its renewable oil technology. It will help expand Solazyme’s workforce beyond its current 200-plus employees. And the financing also will allow Solazyme to build out its production facilities, where in the dark interior of fermenting tanks in places like Peoria, Ill., and Clinton, Iowa, a viscous, light-brown liquid rapidly transforms from an algal goop into a “drop-in” replacement for petroleum oil. 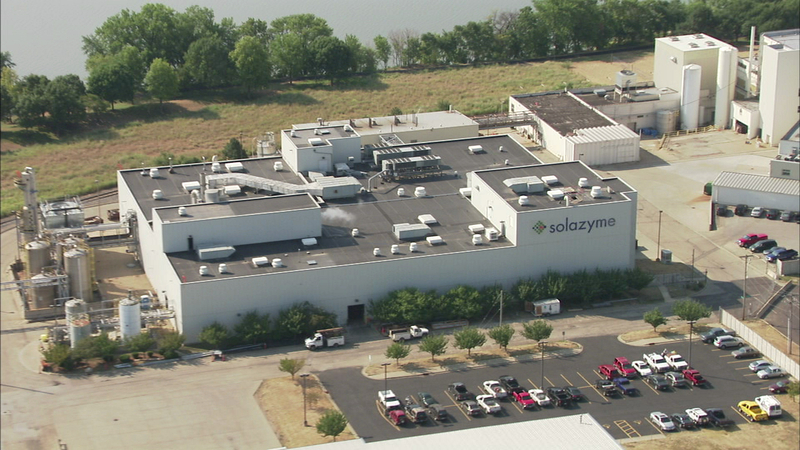 At Solazyme’s plant in Peoria, Ill., algae is converted into oil. In just a few days Solazyme can recreate a process that in the natural world takes about 300 million years. “Think of a brewery,” said Bob Ames, Solazyme’s vice president of fuels, when describing what Solazyme’s production facilities look like at first glance. Of course, as Ames points out, Solazyme’s fermenting process takes place in stainless steel, not copper, tanks, and its operation is far more complex and on a far larger scale than your local brewpub’s. In fact, Solazyme’s production facilities could transform the way thousands of everyday products – everything from ceiling tiles and cosmetics to transportation fuels for our vehicles – are manufactured. 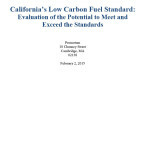 Solazyme has identified California’s Low Carbon Fuel Standard, or LCFS, as a smart government standard that could help the company grow its revenue and allow for continued expansion. 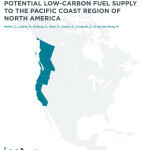 Part of California’s ground-breaking 2006 global warming law, the LCFS is one of the ways California aims to reduce its greenhouse gas emissions to 1990 levels by 2020. 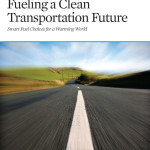 California’s clean fuels law holds some of the biggest polluters in the state accountable for their emissions. Because of the standard, large polluters will be required to get 600 million gallons of fuel from renewable sources each year – something companies like Solazyme can easily help large polluters meet. Solazyme is building other partnerships as well. In 2010, Solazyme delivered 80,000 liters of algal-derived marine diesel and jet fuel to the U.S. Navy. 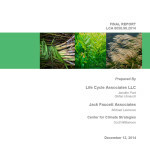 This is believed to be the world’s largest-ever delivery of 100-percent algae-based biofuel. In successful demonstrations in the Pacific Ocean, the military blended Solazyme’s fuel with conventional fuel. This fuel helped power some of the most advanced warships and fighter jets in the world with no engine modifications. More recently, the Department of Defense contracted with Solazyme to procure an additional 550,000 liters of advanced biofuel provided by Solazyme and Dynamic Fuels. It’s not just the military that’s benefiting. 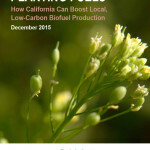 In mid-November 2012, fuel derived from Solazyme’s algae-based oil was sold on a trial basis for the first time at retail fueling stations in California, a big step toward increasing competition in the fuels marketplace and diversifying fuel choice for consumers. 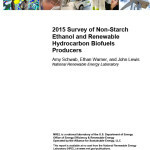 Drivers in any diesel vehicle could fill up on competitively priced fuel that included a 20-percent blend of advanced biofuel. 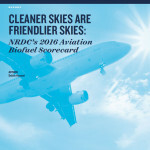 According to tests conducted at the National Renewable Energy Laboratory, this blend resulted in a 30 percent reduction in particulates, a 20 percent reduction in carbon monoxide, and a 10 percent reduction in total hydrocarbons. After the trial run at the fueling stations, Solazyme sent surveys to drivers who filled up on algae-based fuel. 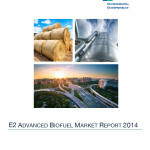 And these fuels aren’t 300 million years down the road – they’re here right now.